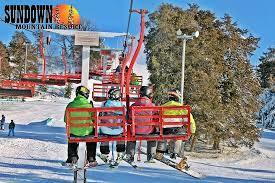 On February 15th Andrew students in grades 4th - 8th are invited to participate in the annual LEAP Ski Trip at Sundown Mountain in Asbury, IA. There is no cost to attend! Students will leave Andrew at approximately 2pm and return around 9:30 pm. There is no school the following day. Registration forms are being sent home this week and are due back on Friday, January 12th. Chaperones are welcome so please feel free to indicate on your registration if you would like to attend. As always, if you have any questions please call the office at 563-672-3221 or email Mr. Bonifas at: peter.bonifas@andrew.k12.ia.us.